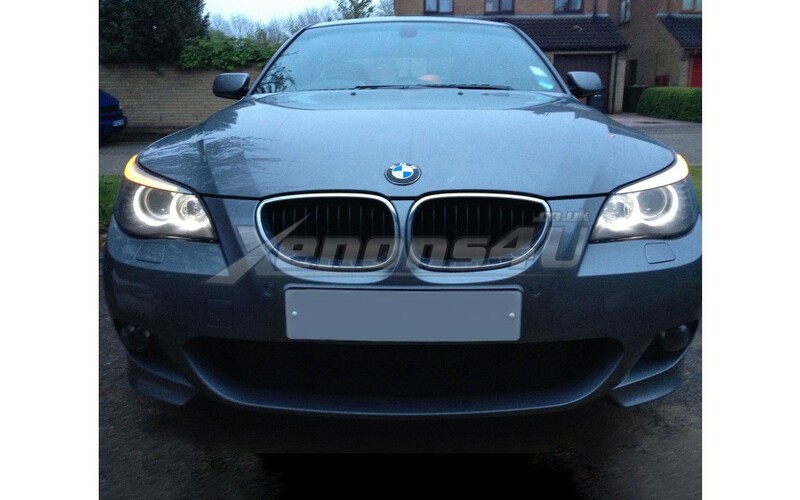 LUMRO BMW 5 Series H10W E60 E61 Facelift LCI 20W CREE LED Angel Eyes Upgrade Bulbs. 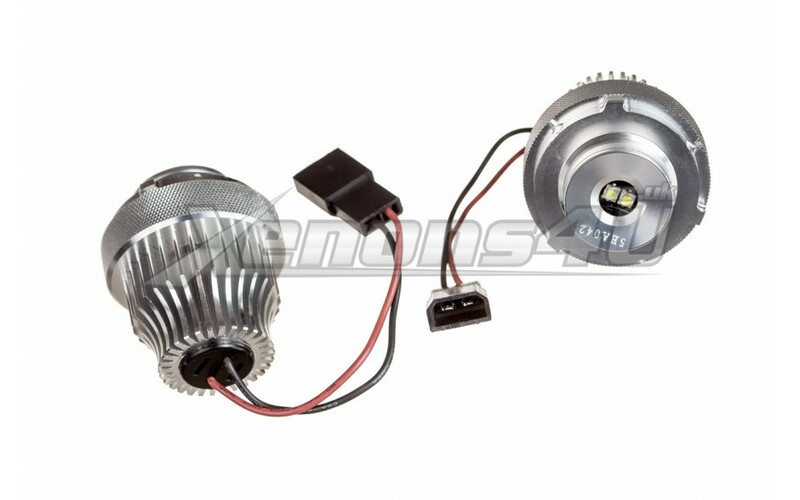 Upgrade your old OEM BMW Halo Rings also known as Angel Eyes Marker bulbs to the newest and brightest 20W CREE LED marker bulbs kit. Old stock bulbs are 3 Watt and yellowish look rated at 3000K, our headlight led bulbs are cool white colour rated at 6000K. 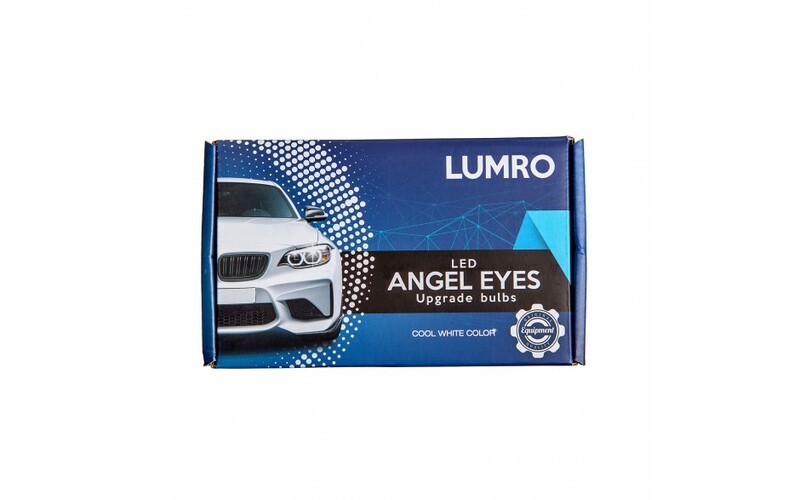 LUMRO is the most powerfull 20 Watt LED bulbs which will convert your halo rings to super bright xenon white light colour rated at 6000K. 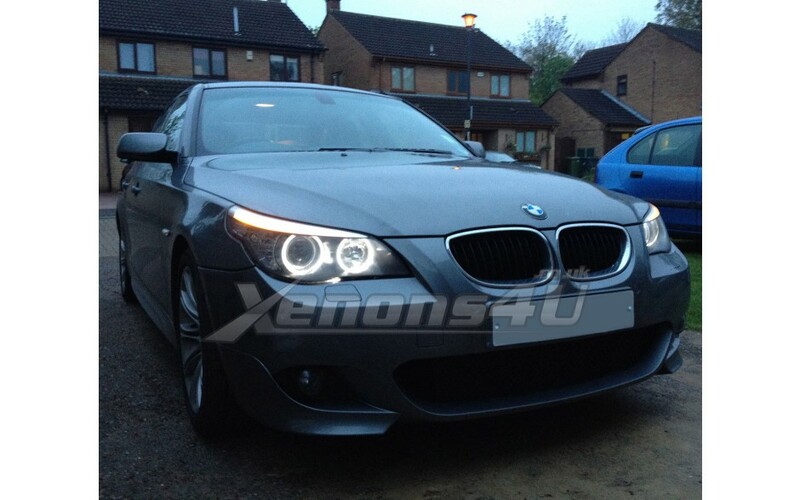 H10W LED headlight bulbs are canbus (error free), which means no on-board computer errors will be displayed on your 5 Series BMW E60 or E61. Will this kit fit my BMW 5 Series LCI model ? There are 2 types of BMW 5 Series LCI (Facelift) models. 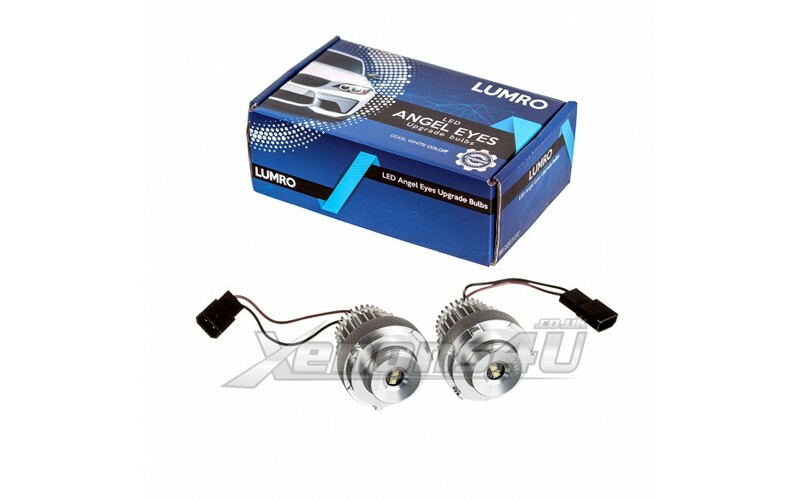 To find out if this kit is correct one the easiest way is to open a bonnet and check white headlight sticker, which is located on the top of the headlight, it must have writtings H10W or H10W and H7. You can easily find out more powerfull wattage bulbs which use more LEDs on each bulb, but you will be dissapointed with results, because many sellers write fake wattage, uses not real CREE LED which they say it is real thing, but isn't. We can guarantee 100% this kit will be much more brighter than any other kit with more power. 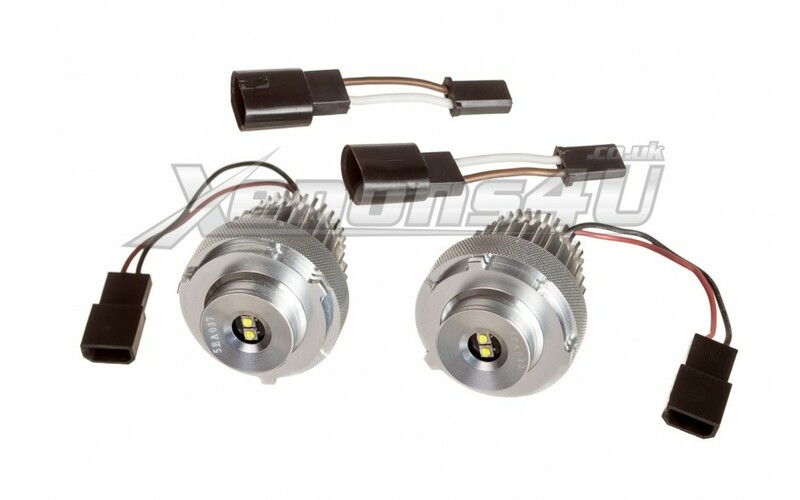 We can guarantee that our 20W CREE LED Bulbs will be much more brighter than any 40W, 60W or even 120W headlight kit.